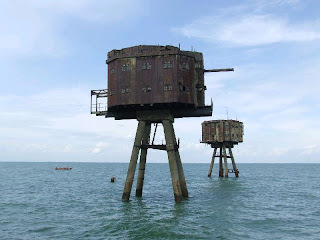 Shivering Sands Army Forts are a set of Maunsell Sea Forts similar to Red Sands. 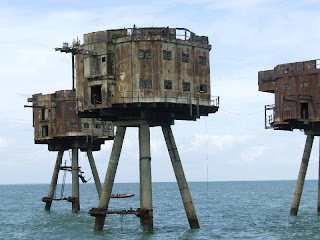 They were built on land in taken out to sea to be constructed in 1943. 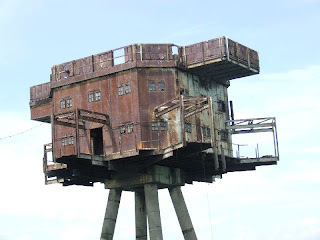 Anti-Aircraft guns were originally mounted on the top and accomodation rooms located below. 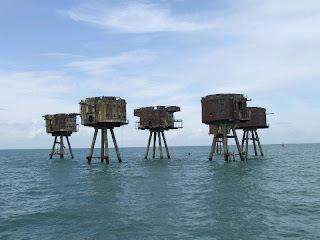 As with the Red Sands Forts, they were decomissioned in the 1950s, but saw new life during the 1960s as the base of pirate radio stations. 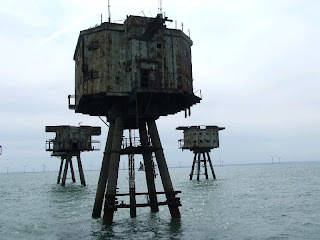 Unfortunately, the searchlight tower has already been removed, its place now marked by a buoy, and the future of the other towers in uncertain. 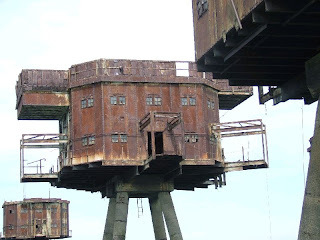 Boat tours are available to the forts via Bayblast or the X-Pilot boat, unfortunately no ladders remain, so boarding the forts is no longer possible. 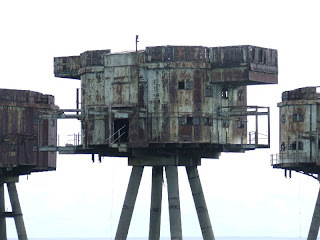 It has been mentioned that the Searchlight Tower has been removed. 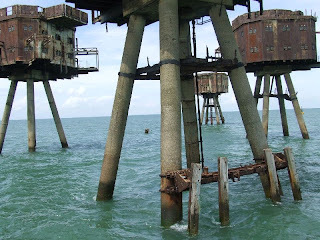 Although one of the seven original towers is missing, with just a stump evident, it was actually a gun tower and was not removed as such. 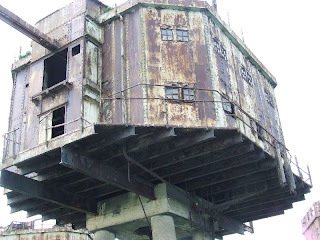 Rather it was knocked over into the water as the result of a collison by a vessel in thick fog in 1963. Excuse me, isn't there a movie about this place? I mean, I watched it a long time ago and I dont remember the name, but I'm pretty sure it was the same towers. Reply to my blog plase. 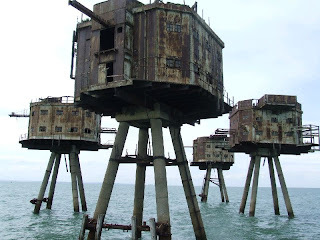 These are so unique towers have heared about so many towers but not about gun tower.they might use them for wars and defending boarders . Personally for me, these towers look frightening, they would perfectly fit as an installation for the film about the invasion of the aliens. The free roblox robux online game is played by the all age group people with the use of free robux generator for the free robux generation to get robux for the free roblox free robux game for free.